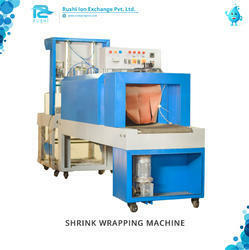 Our range of products include shrink wrapping machine, water bottle packing machine, mineral water machine and water packing machine. Conveyor Drive 1 H.P Variable Speed Drive, A.C Drive. Heavy Duty chains with pins for conveyor assembly. Aluminum Heat resistant coating for the Hot Air Chamber. Heater 12 K.W Open type Porcelain heaters for better efficiency and Faster heating. Separate indicator for Input lines, Blower, Cooling fan, and Motor. Interlocking system between the controls for safety reasons. Insulation double class, Padded Glass Wool insulation for better heat insulation. High-quality softener resin provides stability and uniform size for top performance and long life. A range of softener systems to suit Institutional, commercial and industrial applications. The range of softener systems to suit Institutional, commercial and industrial applications. Produces clear, soft and nonâ €“ scale forming water. stable and has a long life. Water for laundry, dishwashers, boilers. Car washing & General housekeeping. 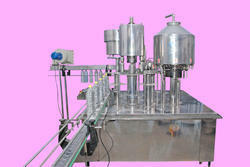 Looking for “Industrial Packaging Machine”?